Indo-OIC-Islamic Chamber of Commerce and Industry (IICCI) is an International Chamber of Commerce/Organization consisting of 57 member's countries and 5 observer's member countries and over 195 countries of the other World relationship with India. The organization states that it is "the collective voice of the Indian business, trade and economic & OIC Muslim Nation's business, trade and economic relations". The IICCI is a tool for business, trades, and industry that would explore international Islamic market with India and works with 62 OIC Islamic nations and over 195 countries of the other World "safeguard and protect the interests of the Indian business, trade and economic & OIC Muslim Nation's business, trade and economic in the spirit of promoting international peace and harmony". The major objective of IICCI is to promote India & OIC Nations, and over 195 countries of the other World business, trade and economic relations. IICCI promotes bilateral trade, investment and technology transfer, facilitates business collaborations, joint ventures, marketing tie-ups and strategic alliances through a set of proactive business-oriented initiative. 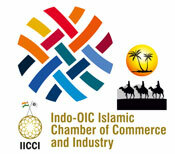 The Indo-OIC-Islamic Chamber of Commerce and Industry (IICCI) under the Indian Law and managed by INOC. The IICCI is an organ of INOC, which is registered under The Indian Trusts Act of 1882, Governmentof India. Established in 16th December 2016, the IICCI has around hundred of members Companies of OIC Nations, other World and India origin make up about 75 percent of membership, the remaining being individual or honorary members. The incumbent 57 OIC Nation's 5 Observer's Nations and over 195 countries of the other World's Ambassador to India is the Observer Members of the IICCI. The IICCI enjoys a very close relationship with the OIC Nations Members Embassies officials and receives tremendous support in fulfilling its objectives. The incumbent Indian Ambassadors (Indian High Commissions) to 57 OIC Nation's 5 Observer's Nations and over 195 countries of the other World is the Observer Members of the IICCI. The IICCI enjoys a very close relationship with the OIC Nations Member's Governments, Ministries departments officials and receives tremendous support in fulfilling its objectives. a). To encourage Trade, Service, Industry, Small & Medium Enterprise, Agriculture, Intra-Regional through creating strong business linkages amongst the entrepreneurs of the OIC region and other World with India. b). 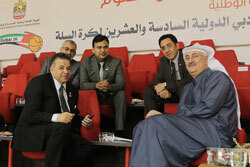 To make recommendations to safeguard the economic and business interests of the India and OIC region and other World. c). To assist as a counseling body of the Private Sector of the region to deliver participation/ response on regional economic issues. d). To inspire Member Countries to unity favored terms of trade to each other and finally strive towards the gradual realization of the IICCI Economic and Monetary Union. e). To endorse the exchange of commercial, technical, industrial management and scientific & technology information, educations and know-how amongst its members. f). To organize, collect and propagate statistical data and joint research and development among the IICCI Members & OIC Member Countries and other World.